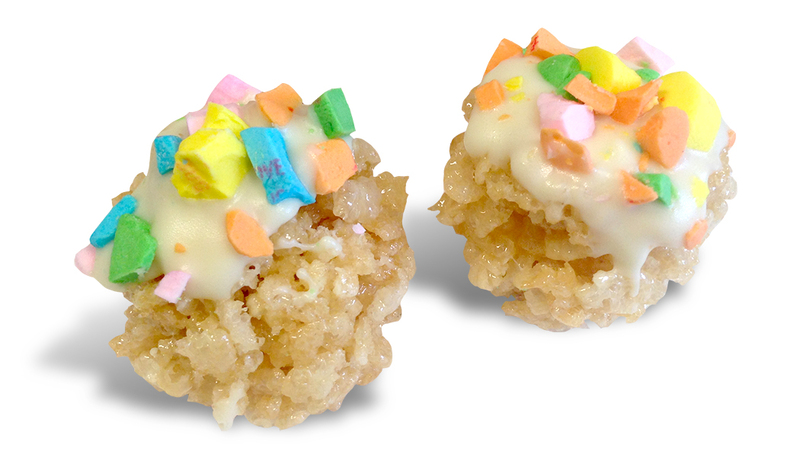 food | Welcome to the world of NECCO! 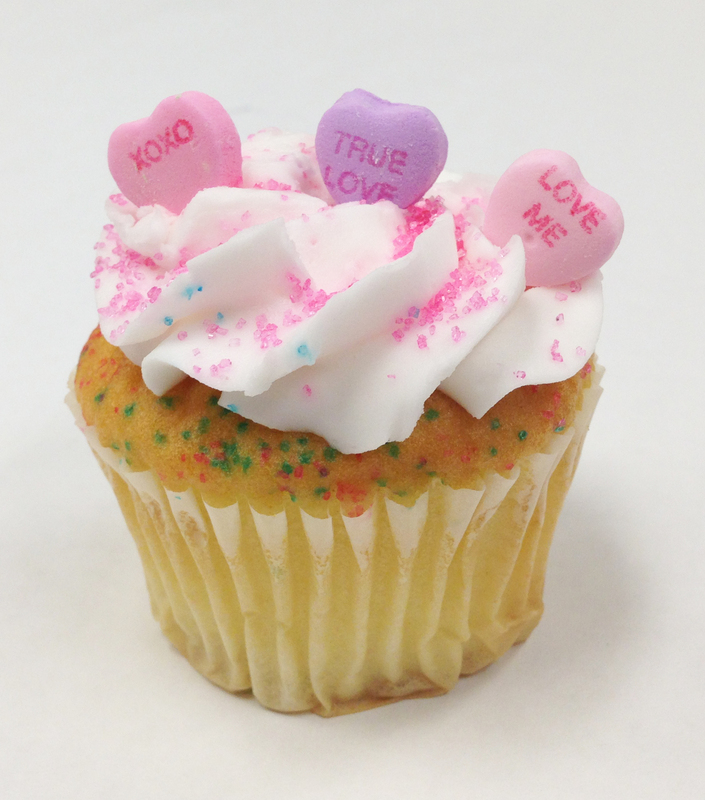 Valentine’s Day season is in full swing, and we couldn’t be having more fun! Our delicious Sweethearts Candies are keeping our taste buds happy and also are inspiring our minds to really get creative with them! Today, we have yet another fun Valentine’s Day DIY made using our classic candy that will add a little bit of sweetness to your day! 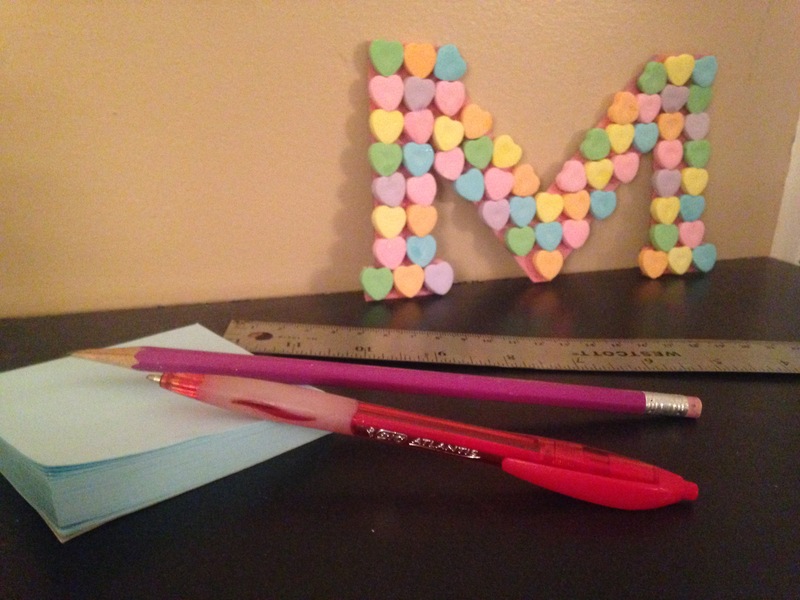 We believe it’s not Valentine’s Day unless there’s a little bit of love everywhere you go, and this adorable Sweethearts Candy Initial is just that perfect touch of love to sweeten your work space, especially if you’re dreading the terrible winter weather outdoors! 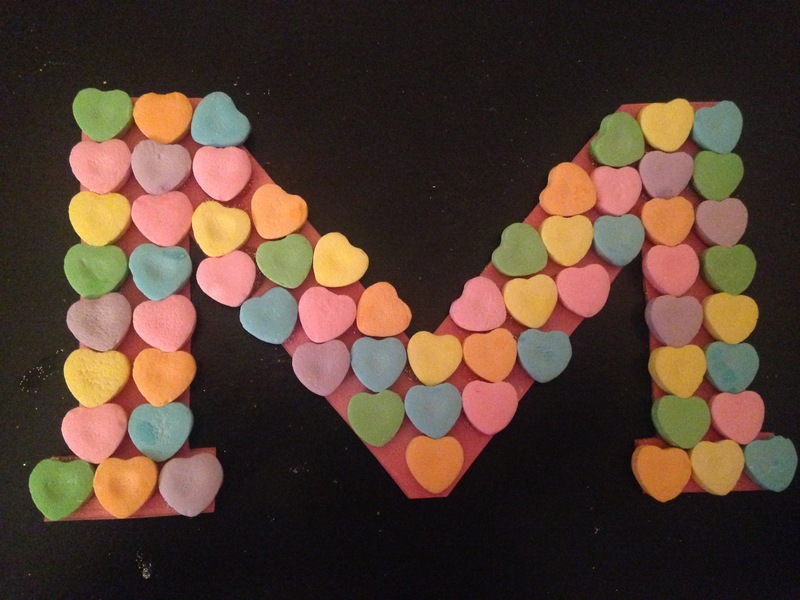 Enjoy the fun DIY & be sure to check in again for more Sweethearts Series ideas! 1. Use a ruler to outline your Initial on thick cardboard or card stock. 3. Cut out your letter, and then use it as a stencil to trace out the initial on the construction paper as well. You will then need to cut out the construction paper letter. 4. Evenly spread the glue across the cardboard letter. (Tip: we used a scrap piece of the card stock as an edge to make sure the glue was spread across the entire letter in an even, smooth layer.) Take the construction paper cut out letter, and slowly place it onto the cardboard letter. 5. Firmly press these two layers together, ensuring all edges are secured tightly. Let dry completely. 6. 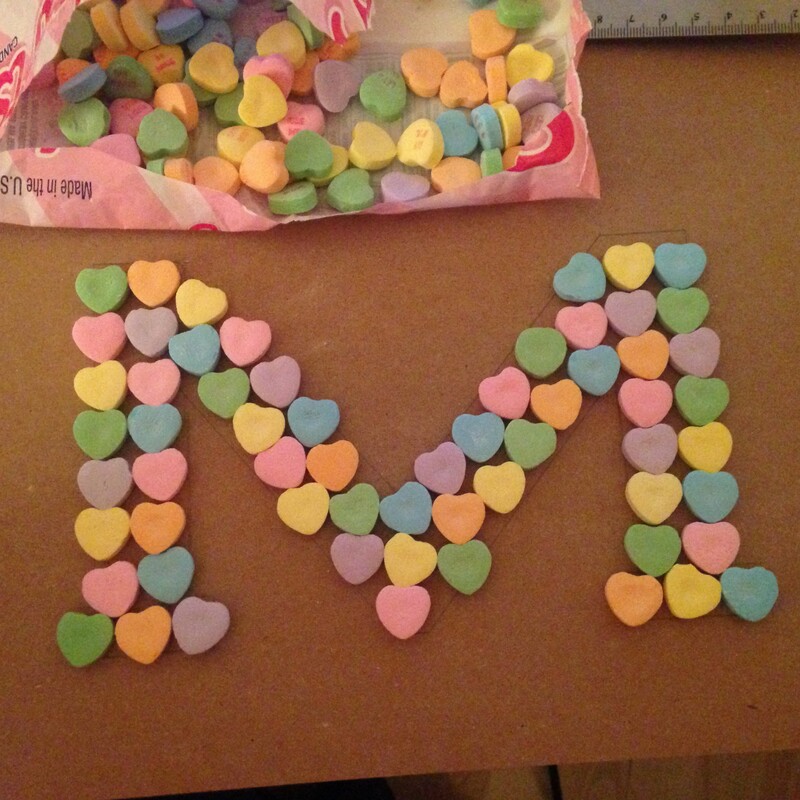 Once dry, layout your Sweethearts on the letter, and then gently glue them on, one by one. Press down firmly on each heart to ensure they adhere properly. 7. 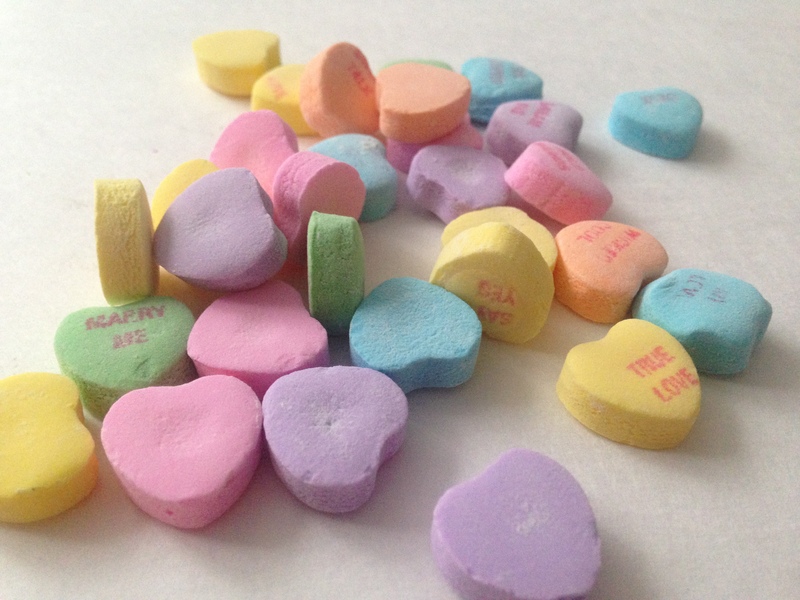 Let dry completely, so when you prop it up, no Sweethearts fall off the paper. Once dry, you have the delightful task now to decide where you want to display your sweet creation! Enjoy! 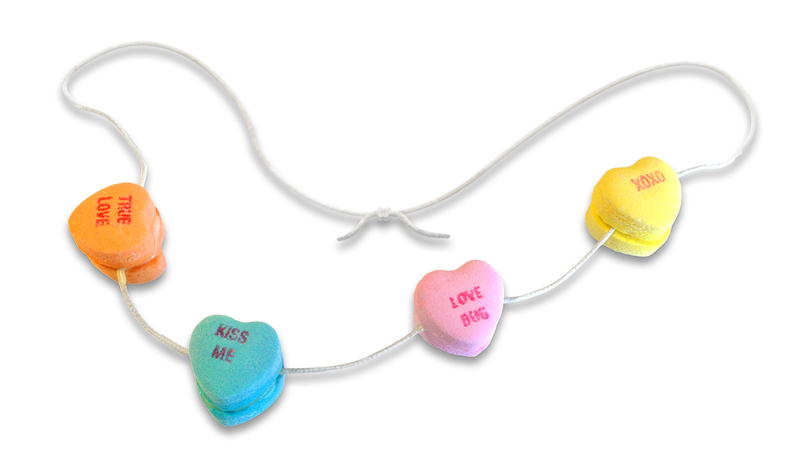 Categories: Crafts, Sweethearts Series, Valentine's Day | Tags: Boston, candy, Candy Hearts, conversation hearts, crafting, crafts, crafts with kids, diy, family, food, holidays, love, NECCO, new england confectionery company, office decor, Sweethearts, sweets, Valentine, Valentine's Day, Valentine's Day Candy, Valentine's Day crafts, VDay | Permalink. 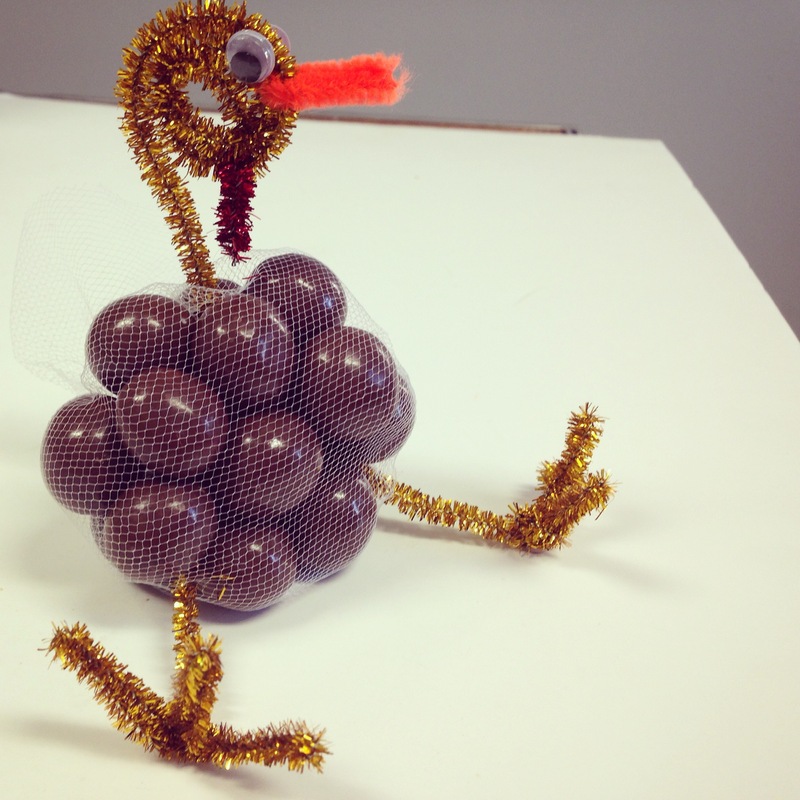 Inspired by the adorable little turkeys over at Clean & Scentsible, we couldn’t resist putting a slight NECCO spin on this awesome craft. While we love the Christmas season as much as everyone else, it’s a can’t miss when we get the opportunity to spotlight Thanksgiving! It’s such a special time spent making memories with loved ones, and of course, eating delicious homecooked food – simply the best! These cute turkeys will make the perfect favor for your holiday guests, and they undoubtedly will delight all the little ones! 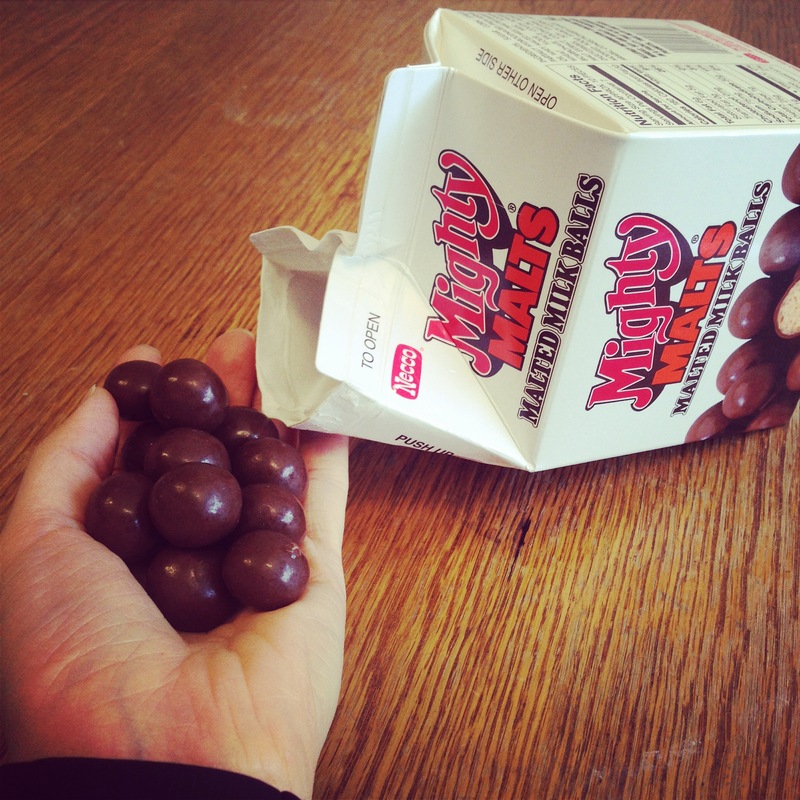 Filled with our chocolaty Mighty Malts malted milk balls, there’s no doubt they will add the perfectly sweet crunch to your dessert table on Thanksgiving Day! Cut a circle or square from the mesh netting. 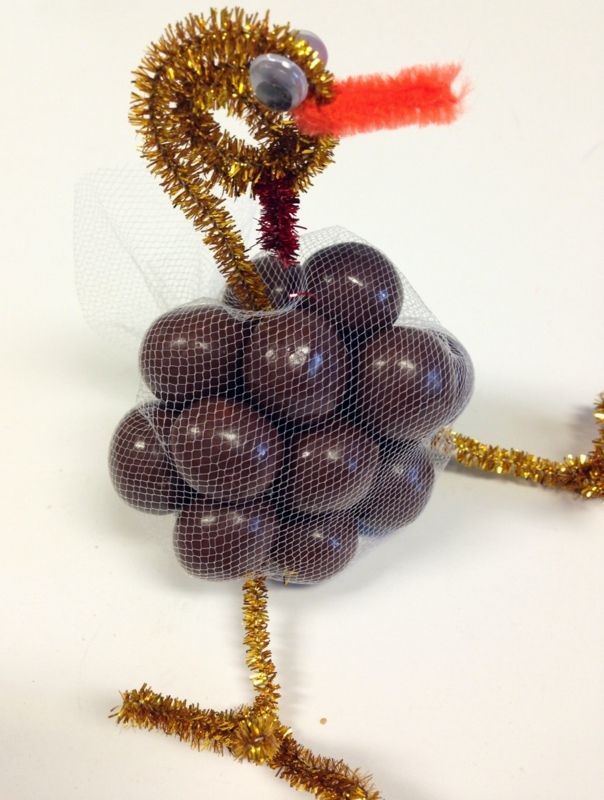 Place a pile Mighty Malts in the center, tying it closed together like a sack with the elastic band or ribbon. To make the feet, take your yellow (we used a glittered golden one here to match the head) and fold it in half. Use one of the halves to create the foot by bending it into three equal-length toes. Cut the other end of the leg to your desired length. Insert the legs into the body through the holes of the mesh. They will be secure, and you can adjust the length even more here by pushing the legs in or pulling them out more. Take your darkest pipe cleaner (brown or here we used a glittered golden one) and roll it up from one end, leaving a few inches flat and unrolled. This will be the turkey’s head. Cut a one inch piece of orange for the beak and a one inch piece of red for the wattle. Bend each of these in half over the outside wrap of the head. You can adjust their length by cutting the ends with your scissors. It works best to twist these pieces once you bent them over the head, helping them to stay in place. Glue a googly eye on each side of the head using the squeeze glue. Press tightly until they stay in place. Categories: Crafts, Thanksgiving | Tags: arts and crafts, Boston, candies, candy, candy craft, chocolate, crafting, crafts, crafts with kids, diy, family, favors, food, holiday crafts, holidays, kids craftts, malt balls, Malted Milk Balls, Mighty Malts, NECCO, necco wafers, new england confectionery company, nostalgia, sweets, Thanksgiving, Thanksgiving Day, turkey, turkey craft | Permalink.